A Skin Cleanse Inside & Out. I was recently lucky enough to be sent a selection of products from a new-to-me company; Indigo Herbs. If you read my blog regularly you'll know I'm quite the fan of a good superfood, and have been trying hard to eat as healthy as possible lately, including eating mostly plant-based meals, drastically cutting down on sugar and dairy and making the effort to make more fresh smoothies and juices. 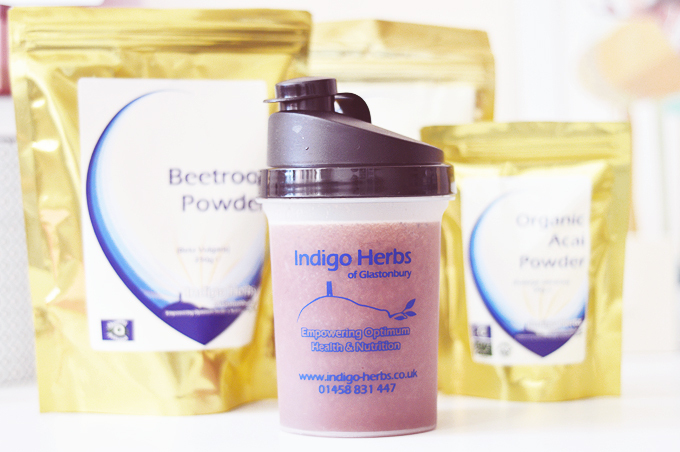 Indigo Herbs sent me a very lovely detox pack with a selection of superfood powders including Wheatgrass powder, Acai berry, Beetroot powder and Spirulina, and I've been including them in my drinks ever since. I simply put the powders into my handy indigo herbs cup (this humble cup has seriously been the best addition to my juicing routine as it holds a hefty amount, doesn't leak and I can shake up my juice when it separates without having to splatter it everywhere) with a few ice cubes and then run the rest of my ingredients through my juicer straight into the cup. Shake to mix and then drink! I was making a fresh juice nearly every morning a few weeks ago but have since cut back to just 2 times a week as I was a little concerned about the amount of liquid sugar and lack of fibre I was consuming. Everything in moderation, yeah!? 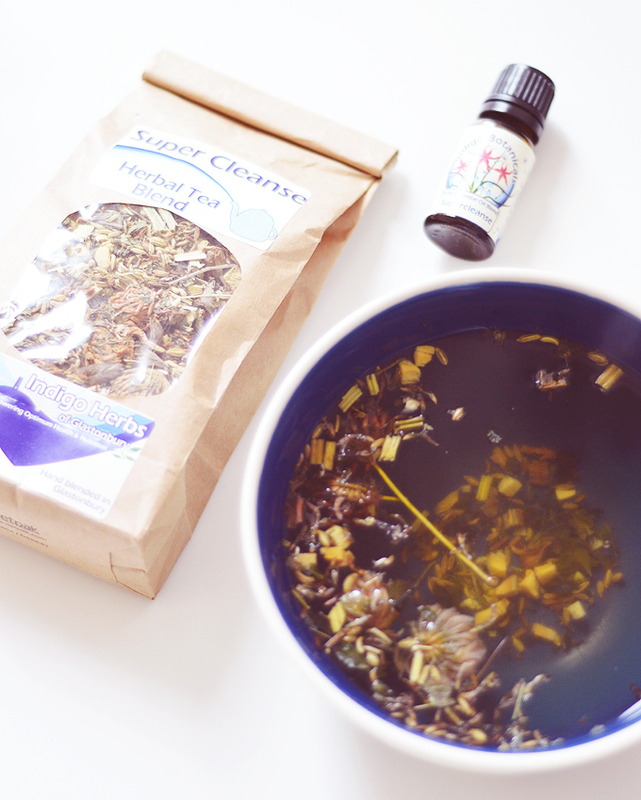 Also included in my detox pack was the Super Cleanse Tea and Super Cleanse Essential Oil Blend. I'm not much of a tea fan and haven't plucked up the courage to drink this yet - but! I have been using it another way... As a facial steam! Combine 4-5 drops of the essential oil with 1 tablespoon of the loose tea in a large bowl, add boiling water, grab a towel and steam skin for about 5 minutes, breathing deeply. I have to say it's incredibly relaxing and the scent is unusual, I can definitely smell the fennel and rosemary most of all. 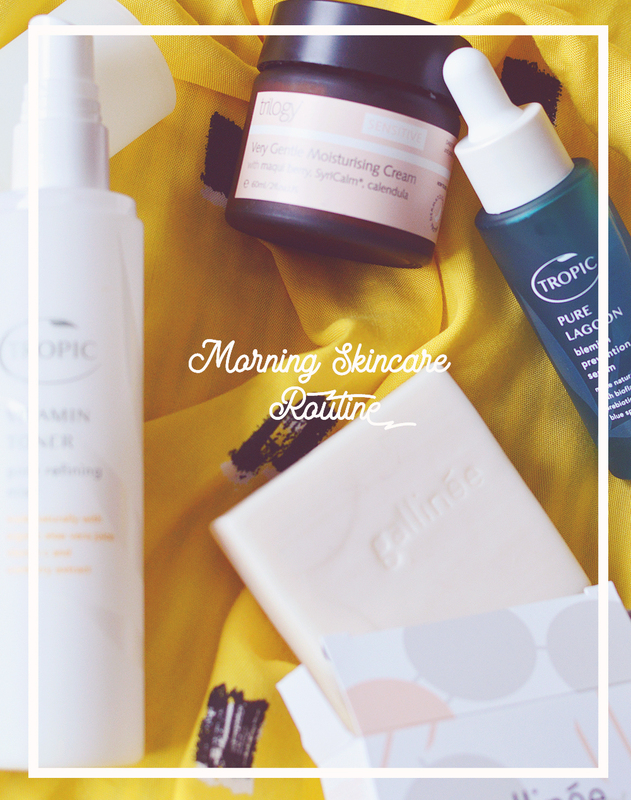 The most important part though, my skin, feels very calm and the redness in any angry blemishes is reduced a little. Even if the benefits aren't life-changing I'll still be doing this because it's 5 minutes of cosy relaxed bliss. Have you heard of Indigo Herbs before? I'm so glad to have discovered their site and will be repurchasing my superfood powders when they run out as the prices are insanely good! I once spent a fortune on some acai capsules, but the 50g bag from indigo herbs is just £7 and is probably triple the amount of acai for much, much less dollah! They also have everything from raw chocolate making kits to aromatherapy products and so, so much more! *Disclaimer - I was kindly sent these products to review but was not paid to write this post. This company sounds lovely! I have also been trying to detox my diet as well. It's been a little harder as I've been out and about as of recent, so I don't get to cook healthy meals for myself as much. My green juice consists of kale (amazing!) and orange juice (sweetness + vitamin C) for the base. And, I'll grab whatever else I can find at the time (i.e. bananas, lemon, powders blends...). It's absolutely delicious!